If you’re interested in a midsize SUV, you’ll have plenty of options. This class is one of the most crowded SUV classes available, however there are a few vehicles that stand out among the pack. These include the 2019 GMC Acadia vs 2019 Ford Explorer, which are both excellent options for drivers looking for midsize SUVs. However, which of these vehicles is the right choice for you? The 2019 GMC Acadia is one of the most versatile midsize SUVs on the market. This is due in part by the impressive performance offered by its available 3.6L V6 engine, as well as its 4,000 LB maximum towing capacity. However, where the Acadia truly stands out is in its standard entertainment and safety features. Drivers interested in staying true to their budget with the base model can still experience some of the advanced technology on the market. The abundance of standard features on the Acadia make its low starting MSRP of $29,000 and even sweeter deal. Meanwhile, the 2019 Ford Explorer is more about power than onboard technology. In terms of performance, the Explorer offers class-leading horsepower, torque, and towing capacity. However, drivers looking to experience an advanced cabin will be greatly disappointed when investing in the lower trim levels of the Explorer. Drivers and critics note that the Explorer’s lack of standard features is surprising considering its starting MSRP of $32,365. However, drivers interested in upgrading to one of the higher trim levels will have the opportunity to enjoy top-of-the-line entertainment and safety features. Overall, the 2019 GMC Acadia and 2019 Ford Explorer have different strengths. While the Explorer is nearly unbeatable in terms of power and performance, the Acadia shines with its incredible slew of standard technology. However, only one of these vehicles emerges as more well-rounded midsize SUV option. So, let’s take a closer look at the 2019 GMC Acadia vs 2019 Ford Explorer! Drivers looking for a midsize SUV are likely looking for a high level of power and capability. Thankfully, when it comes to the 2019 GMC Acadia vs 2019 Ford Explorer, both vehicles offer exactly that. Whether you’re looking to tow or are planning long road trips on tough terrain, the Acadia and Explorer will have you covered. The 2019 GMC Acadia offers two available engine options including a 2.5L 4-cylinder engine and a 3.6L V6 engine. When equipped with its 3.6L V6 engine, the Acadia can produce up to 310 hp and 271 lb-ft torque. Drivers investing in the 2019 GMC Acadia can enjoy its high towing capacity of 4,000 LBS, which is more than enough to tow nearly any recreational equipment needed for your weekend adventures. Even with this level of power, the Acadia remains surprisingly efficient and offers fuel economy ratings of up to 21 mpg in the city and 26 mpg on the highway. Overall, the Acadia’s high level of performance allows it to function as an incredibly versatile midsize SUV. The 2019 Ford Explorer is no easy contender in the category of performance. In fact, it has a slight edge over the Acadia here. The Explorer offers drivers a selection of powerful engines, including a 2.4L 4-cylinder engine and a 3.5L V6 engine. With its 3.5L V6 engine the Explorer offers up to 365 hp and 350 lb-ft torque. When properly equipped, the Explorer also offers a slightly higher towing capacity than the Explorer. However, it is important to note that this is one of the only categories where the Explorer excels over the Acadia. Overall, both midsize SUVs offer top specs for their class in terms of performance. No matter what you’re planning on using your new SUV for you’ll want to ensure that you and your passengers are able to stay connected and entertained with ease. When it comes to the 2019 GMC Acadia vs 2019 Ford Explorer in this category, it is truly a battle between infotainment systems and standard features. In the past, the Acadia has been praised for its abundance of standard features among its lower trim levels, and the 2019 model is no exception. Standard features on the base model Acadia, which has a starting MSRP of just $30,195, include an impressive entertainment suite. At no additional cost, drivers can enjoy the Acadia’s IntelliLink infotainment system with a 7-inch touchscreen display, Bluetooth connectivity, a WiFi Hotspot, several USB ports, and even Apple CarPlay and Android Auto. Together, the combination of these standard entertainment features makes the Acadia one of the best valued midsize SUVs on the market. Of course, drivers looking to splurge even further on entertainment technology have even more advanced options among higher trim levels. These include an 8-inch touchscreen display with navigation, a rear seat entertainment system with a DVD/BluRay player, and wireless charging. The 2019 Ford Explorer lacks many of the standard entertainment features drivers expect from a new vehicle. And with its starting MSRP of over $32K, drivers and critics are not pleased with its cheaply appointed interior. Drivers investing in the base model of the Explorer will likely be disappointed with its 4.2-inch touchscreen display, as well as its lack of Apple Carplay and Android Auto. Additionally, where the Acadia offers five USB ports as standard, the Explorer only offers one. A WiFi hotspot is also lacking from the base model of the Explorer, making drivers looking for this technology to upgrade to the third trim level. Overall, the Acadia offers significantly more standard entertainment features and with a starting MSRP of $3,000 less than the Explorer. If you’re looking for premium entertainment technology on a budget, the 2019 Ford Explorer is not a suitable option. No matter what type of vehicle you’re looking for, safety is likely to be at the top of your priorities. With the 2019 GMC Acadia vs 2019 Ford Explorer, the winner of this category will again come down to standard features across lower trim levels. When equipped with all-wheel drive, the 2019 GMC Acadia earned a 5-star overall safety rating from the National Highway Traffic Safety Administration (NHTSA). No matter what model of the Acadia drivers choose, they can feel confident in this safety of this midsize SUV. Like its entertainment features, not many safety features come standard on the Explorer. In fact, one of the only driver assist technologies featured on the Explorer is its rearview camera. To experience safety features similar to those on the Acadia, drivers will have to upgrade to much higher trim levels with the Explorer. However, the Explorer does have all of the basic safety features equipped on its lower trim levels and is considered a safe vehicle in its class. 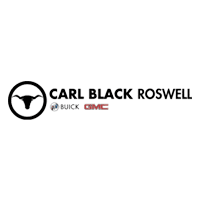 At Carl Black Roswell, we are dedicated to providing superior service to our new and returning customers. Our service begins with our friendly customer service staff, who are eager to address any and all of your automotive concerns. Next, our service continues with our passionate sales staff, who is knowledgeable about each and every vehicle on our lot. Whether you’re looking for a new, used, or certified pre-owned vehicle, our sales team will happily guide you in the right direction and help you determine which vehicle best suits your needs. Of course, once you’ve found your dream vehicle, our highly trained finance department will help you secure the appropriate financing for your budget and personal needs. Even drivers with challenged credit can feel confident in their ability to qualify for financing with Carl Black Roswell. Wondering about where you’ll bring your vehicle for servicing after your purchase? For the convenience of our customers, the Carl Black Roswell Service Center is located right on site. So, you can easily return to our lot for routine maintenance or unexpected repairs. Our excellent service to our customers is further enhanced by our informative website, which is updated regularly and is extremely user-friendly. Throughout every step of the car-buying process, we strive to create an enjoyable experience for our customers. So, when you’re ready to join the Carl Black Roswell family, simply give us a call or visit our lot today!